Quebec, Quebec. Where French-Canadian culture is on display on every corner of every cobblestoned street. But Quebec City is more than a historic town for tourists (though it does have its fair share of castle-like hotels and neighborhoods that look like they’re stuck in the 19th century). Quebec City is home to a thriving arts scene, with cultural institutions supporting Quebecois literature, theater, dance, sports, and more. Charter a Quebec City coach bus for your next ski trip at Le Massif or rent a school bus for a short trip to any of the Sugar Shacks in the QC area. What determines the price of a Quebec City charter bus rental? There are many factors that go into determining the cost of a charter bus rental. The date of the trip, time of year, total mileage, availability of buses in Quebec City, and the driver's time all go into this calculation. That's why we work closely with our bus operator partners to make pricing simple and competitive. Where do you get your Quebec City buses from? We have a strong network of bus rental companies in Canada and the USA, allowing us to source the best local bus companies to service your trip. Our staff meticulously vets every bus operator we work with to ensure your trip is safe, fun, comfortable, and timely. How do I rent a bus in Quebec City with a driver? When you rent a bus through Bus.com, you automatically hire a vetted and experienced driver. We even include the driver's time, tip, and accomodations in our quotes so that you can better budget your trip. What kind of bus rentals can I book in Quebec City? No matter what kind of trip you're planning, we'll connect you with the best bus for your journey. School buses, coach buses, minibuses, and mini coach buses are all available in Quebec City. How soon do I have to book my charter bus rental in Quebec City? ASAP! The closer you get to your departure date, the more bus rental availability decreases. This leads to price surging. To get the best price for your trip, we recommend booking early. Our Book Now, Pay Later policy lets you reserve your bus early then wait to pay until 21 days before your departure. Getting to Quebec City from nearby cities. We run many bus trips to Quebec City from cities near and far! Here are some starting hourly rates for coach bus rentals and school bus rentals for each trip. 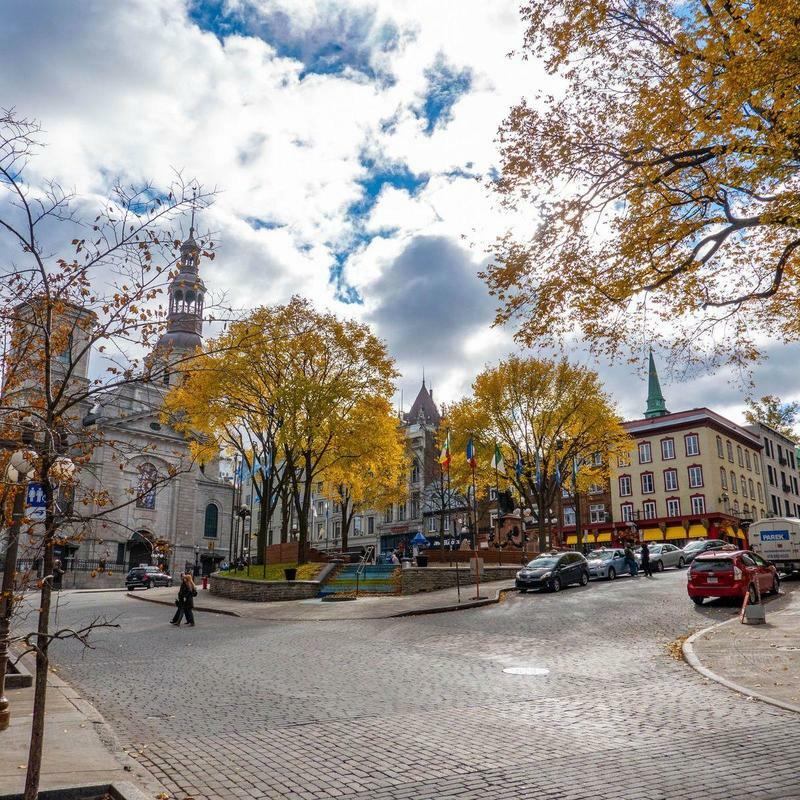 For a more accurate pricing for your bus rental in Quebec City, you can charter a bus through our instant quoting tool.